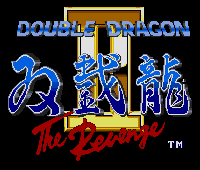 ■DOUBLE DRAGON ON THE MEGA DRIVE, 'NUFF SAID. Despite being a sub-par production from PAL SOFT, this direct conversion of the 80's arcade classic is still a blast to play on the Mega Drive. 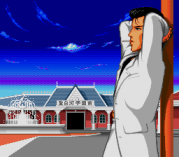 JANTEI MONOGATARI is a quality non-adult console Mahjong game (if you can believe it) developed by ATLUS and plublished by TELENET JAPAN. The game features colorful sleek visuals, an interesting storyline, and of course plenty of lovely bishoujos. 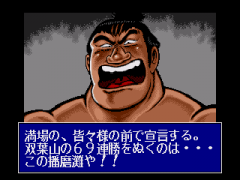 ■OVER THE TOP SUMO WRESTLING ! The mighty and rebellious「HARIMA-NADA」won't stop at nothing on his goal to become the greatest Yokozuna in the history of sumo. The question is... Are you skilled enough to control his raw power! ?